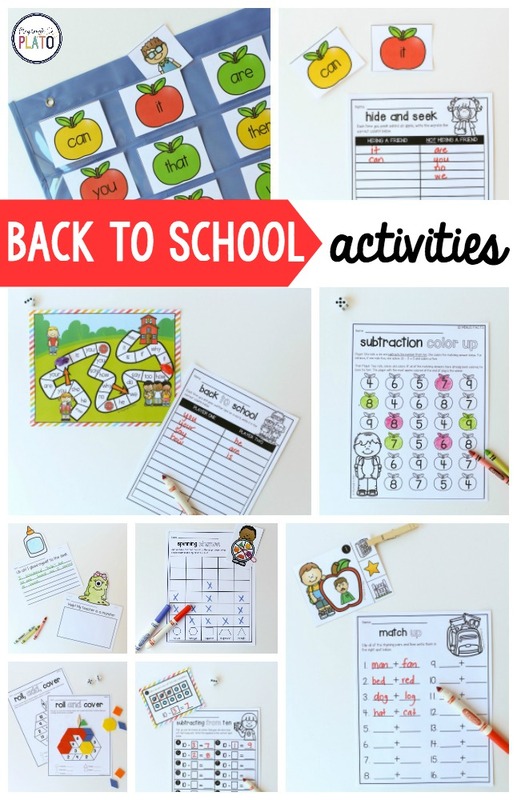 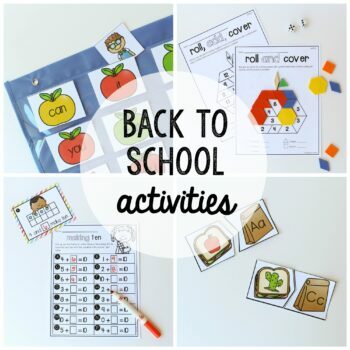 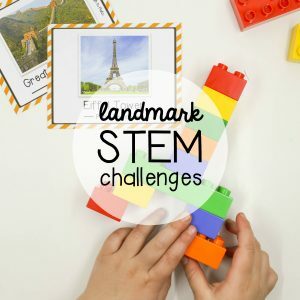 These back to school activities will keep kids engaged and learning all month long! 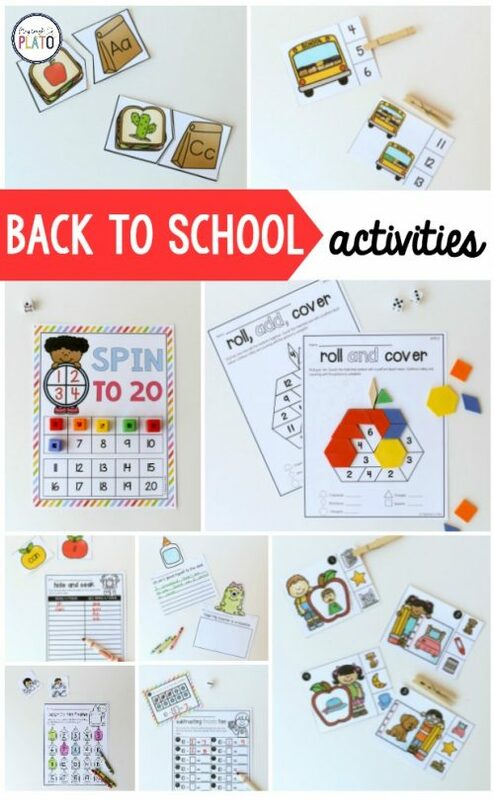 The mega pack includes 15 math and literacy centers. The back to school set is perfect for kindergarten and first grade. Scroll down to take a peek at all of the exciting fun ahead! 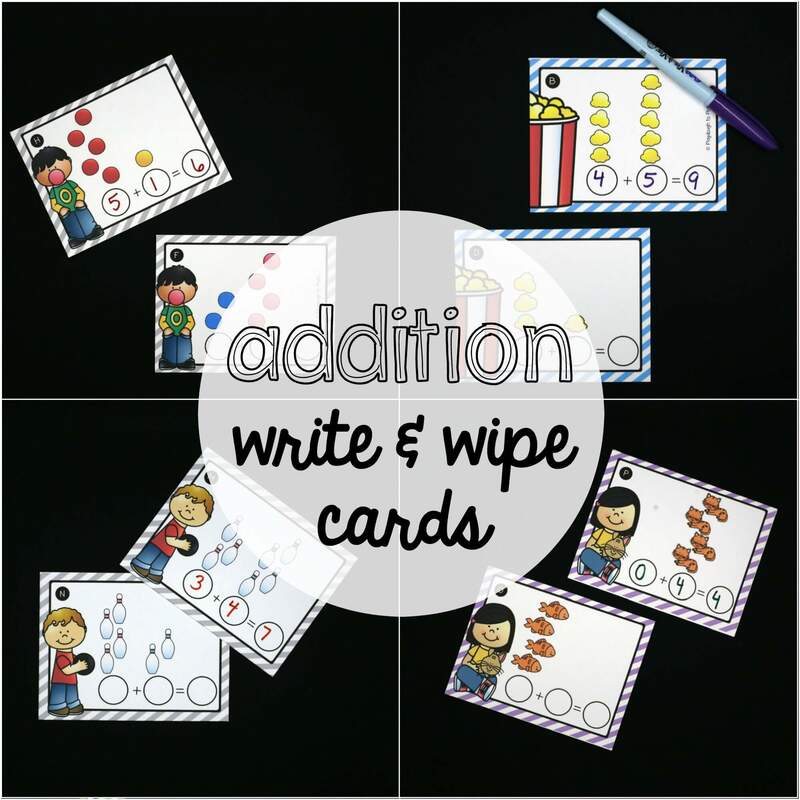 –> Counting Clip Cards. 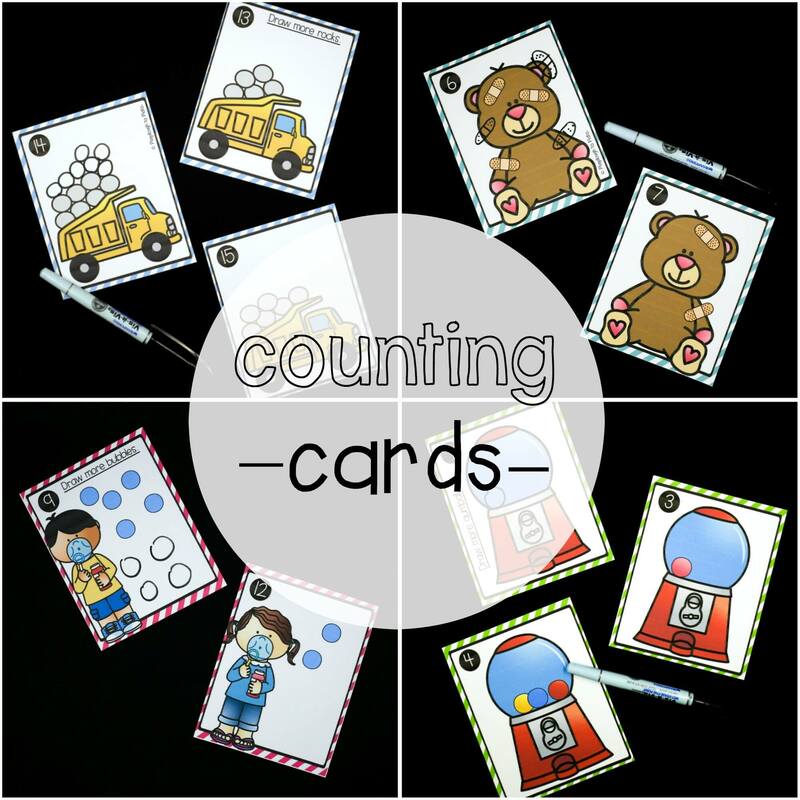 Reinforce the numbers 1 to 20 by practicing counting on and number recognition. 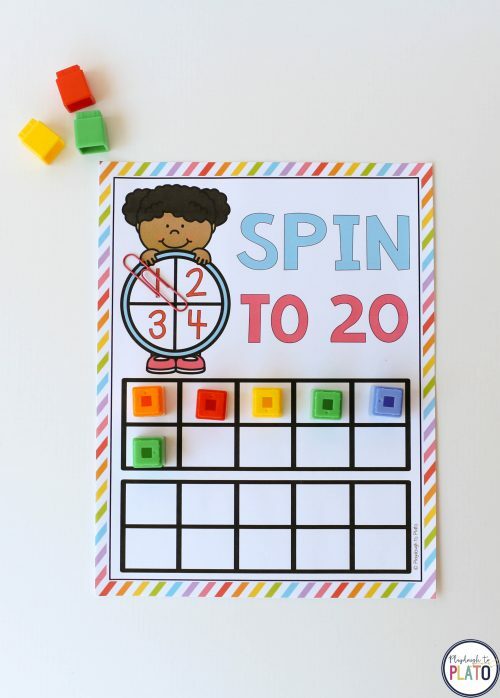 –> Spin to 20. 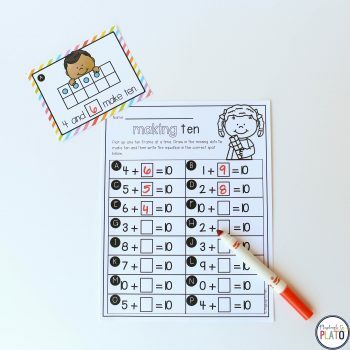 Work on counting, number recognition and ten frames at the same time! 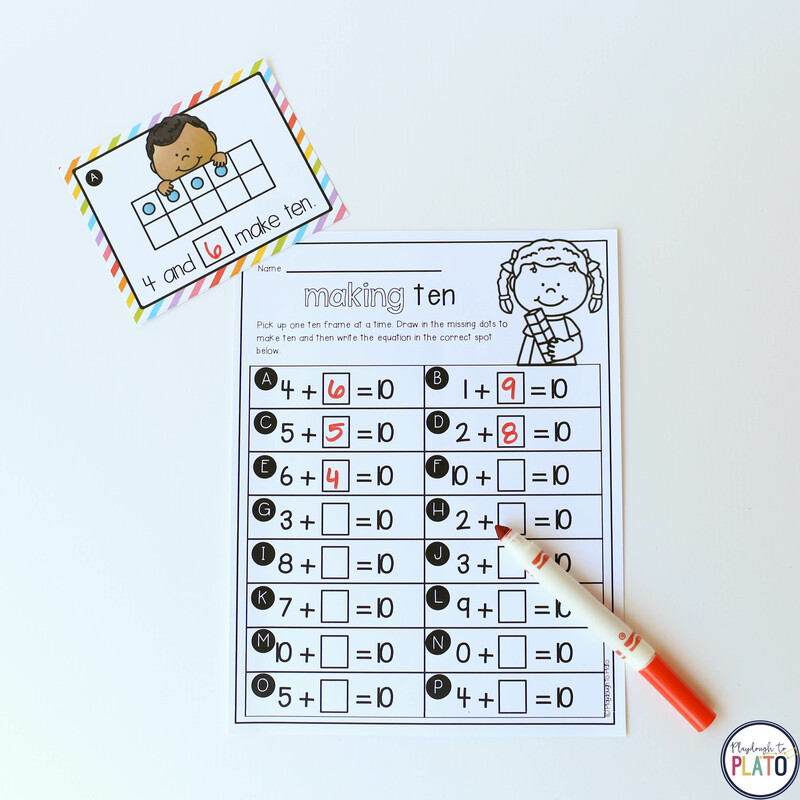 –> Color by Ten Frame. 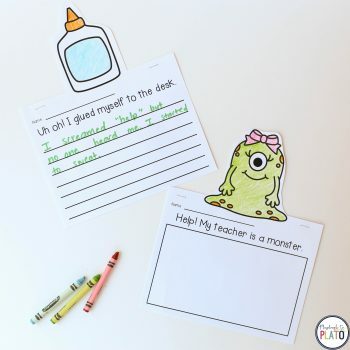 Motivate kids to build number recognition from 1-20! 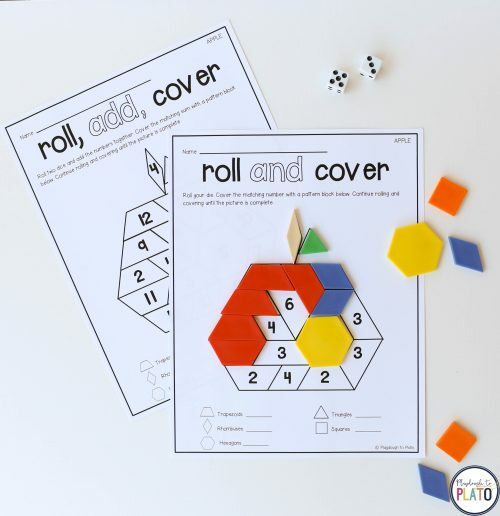 –> 2 Roll and Cover Pattern Block Mats. Race to cover the pattern block mat and practice number recognition OR addition along the way. 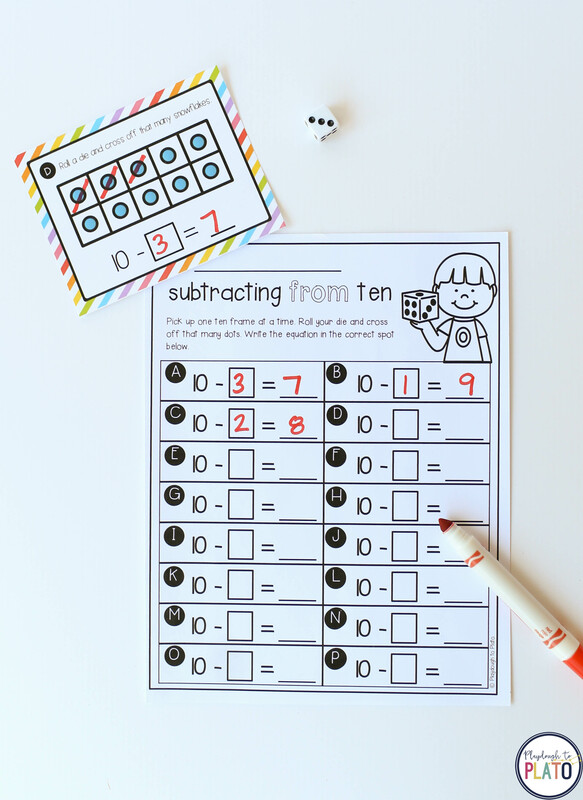 –> Subtracting from 10. Roll the dice, subtract the number that lands on top and write the problem you created. 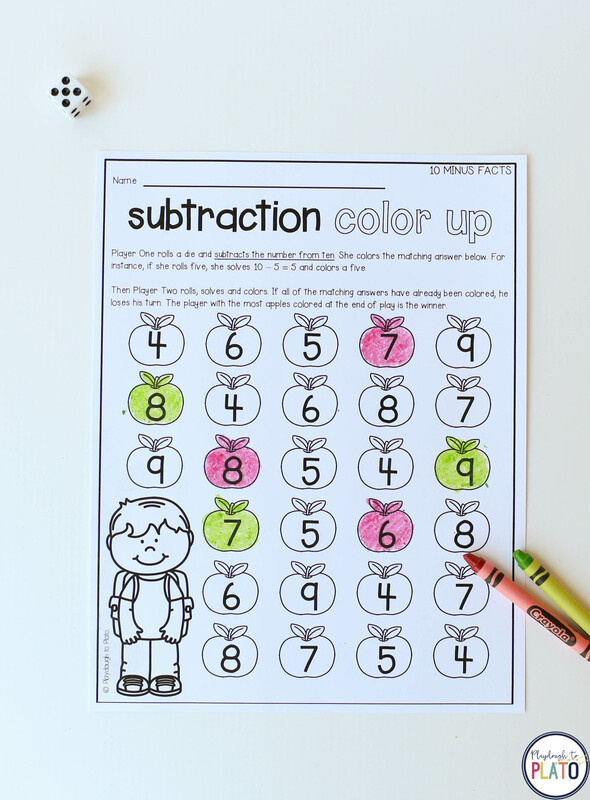 –> Subtraction Color Up. 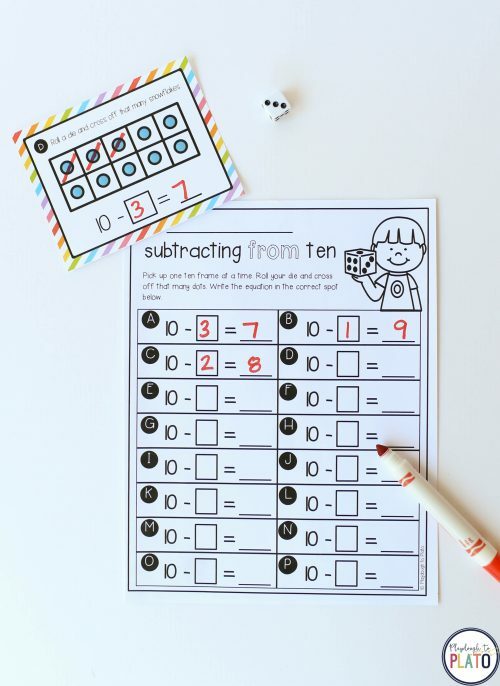 Race against your partner to solve the most subtraction problems. 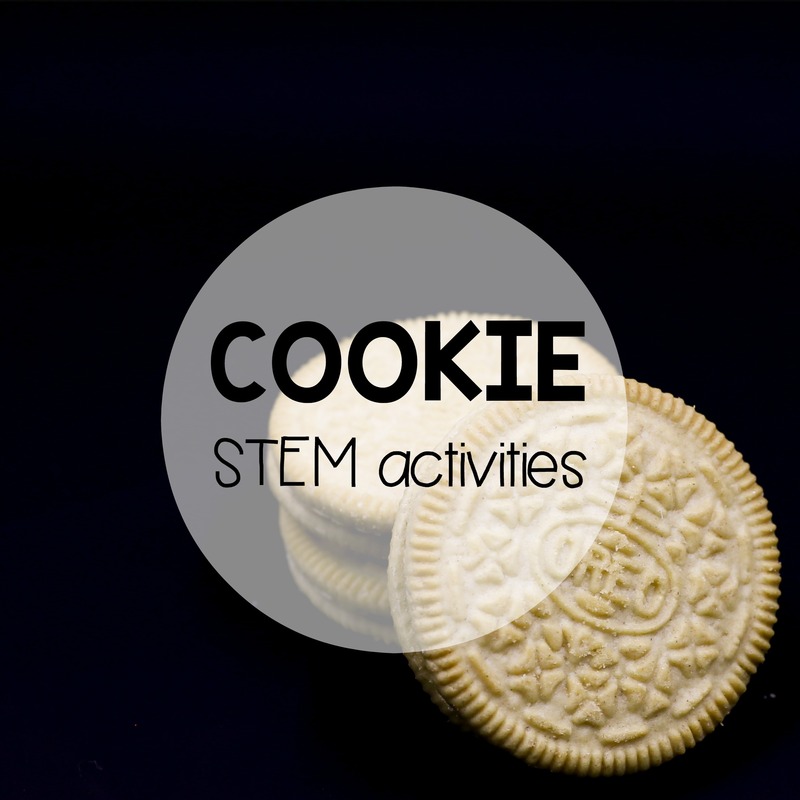 –> Spinning Shapes. Work on 2D shapes and graphing with a playful spinning game! 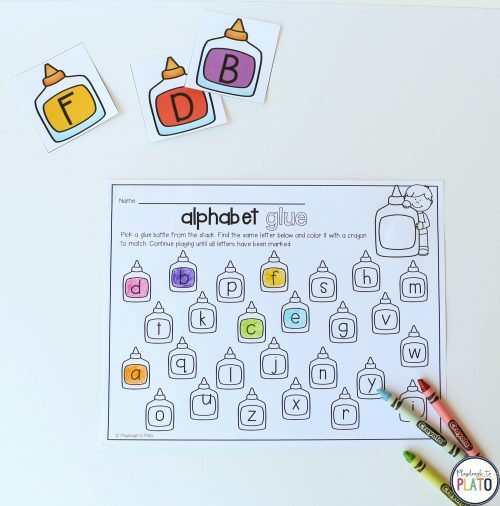 –> Alphabet Glue. 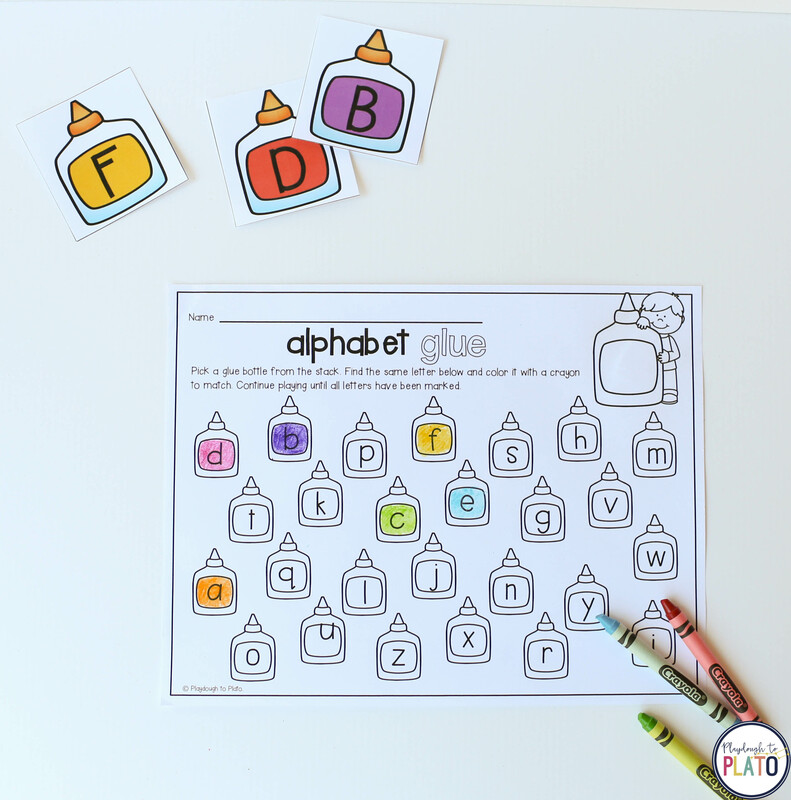 Motivate students to work on letter recognition and upper and lowercase pairing. –> EDITABLE Hide and Seek. 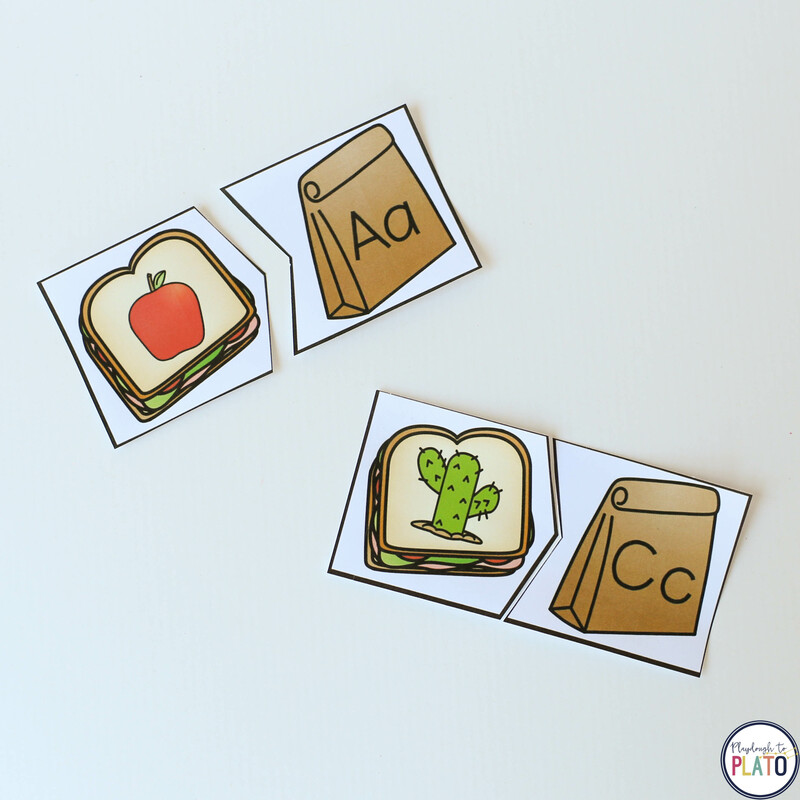 Playfully practice sight words, alphabet letters, classmate names… anything under the sun! 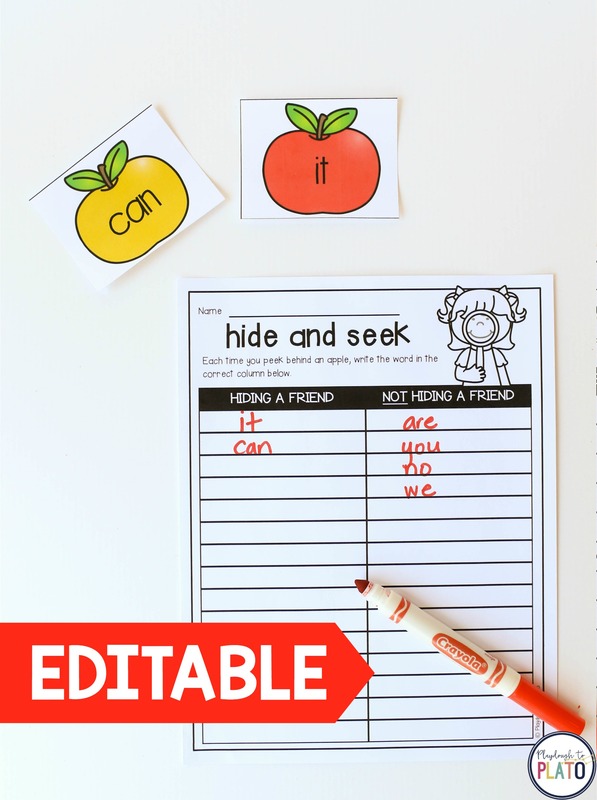 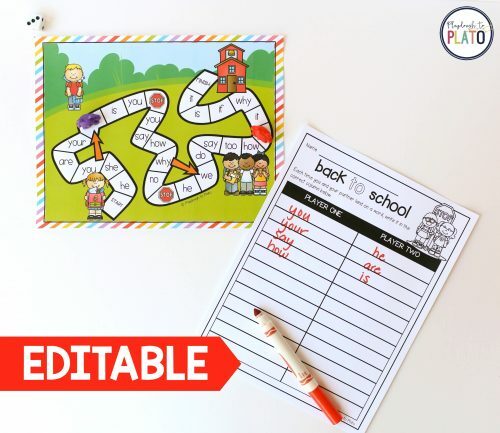 –> EDITABLE Back to School Sight Word Race. 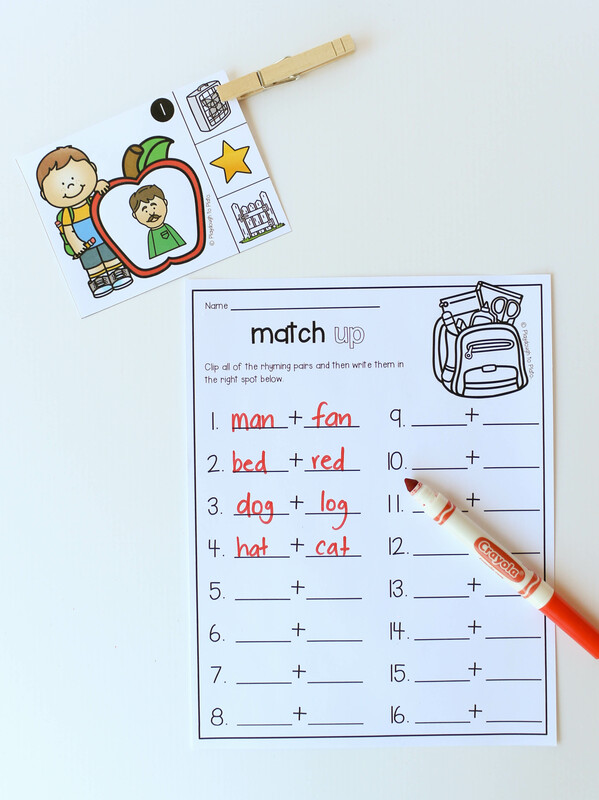 Race to the school as you read and write sight words, word families, classmates’ names… you pick!